I loved the Puffin Island Christmas Ever After novel, but Sleepless in Manhattan wasn’t such a hit for me. This next book features Frankie, one of the trio of girls in Sleepless, that all came from Puffin Island. 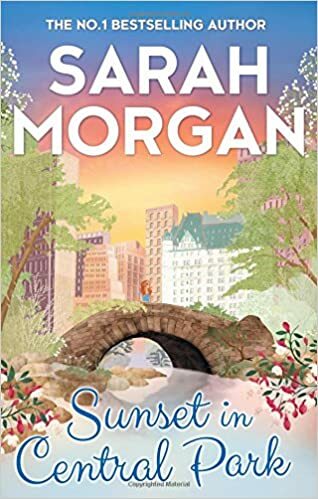 I do love these connected book series, and its been fun to catch up with a few characters from the other stories as they crop up here. I’ve always had a soft spot for Frankie – she struggles with social experiences, and I know just how she feels. Different reasons of course, and for poor Frankie its her childhood and the repercussions of events there that have made her so guarded, so determines not to believe in Love. Of course we meet her best friends here, Eva, total romantic sap 😉 and Paige, now engaged to Jake. Paige’s brother Matt owns the building the three girls and he live in, and he’s best friends with Jake so the five of them spend a lot of time together. Frankie’s had a crush on Matt for ages, not knowing that he feels the same, and he’s determined to stop waiting for her and to gently move things up a step. I adore Matt, he’s so patient, so gentle with Frankie. He loves his sister and her friends, and is running a very successful business. He’s hit a problem though, one of his key staff needs compassionate leave and of course being the man he is he says go…it leaves him short of someone to design and oversee a key new project though, a sustainable roof garden. He can do the work but the design, knowing exactly what plants to use for best results is beyond him. Luckily Frankie steps in, after some persuasion from him and the other girls. It brings them closer and its such fun to see Matt trying his best to woo her, and Frankie trying to keep away. Attraction between them is strong though and the pull magnetic and she gets caught. Can Matt reel her in without frightening her off? Its a hard task and there are times when he flies very close to the edge. The story migrates to Puffin Island, the place to which Frankie vowed never to return, but finds herself at with Matt attending a wedding, another thing on her list of Not What To Do! I loved the way Sarah gently plays these characters, setting them where they need to be for the story, but where they personally hate the thought of being. I enjoyed catching up with the Puffin Islanders too. Its a fun story, got a bit more going for it for me that the last, and its a gentle romance, a little drama but nothing too heart stopping. Its the kind of book you take to the beach, on a long journey, on holiday when you just want to relax and enjoy the story.